EXCELLENT JEFFERSON GOLDEN HOUR MYSTERY CLOCK Very unique clock. Runs on 220V/50Hz power. Runs very precise, even after months it still runs spot on. A rather strange clock, because there are no obvious mechanical parts that move the hands! The hands are mounted on a glass plate, there is a gear, but there is no visible connection and therefore the driving force is nothing less than a mystery. Very weird indeed. The age of the clock is perhaps 30-40 years old. 24K gold finish with varnish is in very good condition. Maybe a few spots, but nothing major. The glass plate has no scratches. 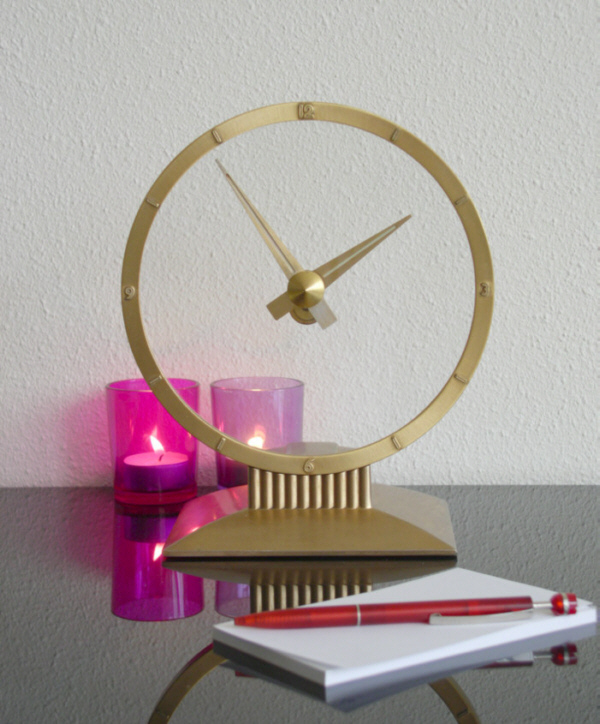 In short, a very nice clock that will look beautiful in your home. Great conversation piece too.